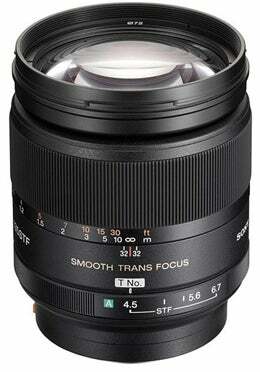 Sony’s Smooth Trans Focus technology. Lenses with STF use an apodization element which is said to gradually fade the intensity of point light sources in out of focus areas. The results, according to Sony, is more pleasing defocusing characteristics than conventional lenses.